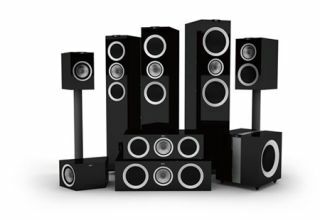 Manchester Show 2011: KEF R Series speakers make their UK debut | What Hi-Fi? One of the biggest launches here at Manchester is the much-anticipated R Series speakers from KEF, which is celebrating its 50th anniversary this year. We had a sneak preview of them at the CEDIA Expo in America back in September, and now UK hi-fi lovers can get to see the full line-up at the show this weekend. The R range will sit above the Q series of speakers and below KEF's Reference range – the position currently occupied by the XQ line-up. There's more technical info in our original news story, and if you can't make it to Manchester this weekend watch our video show report.